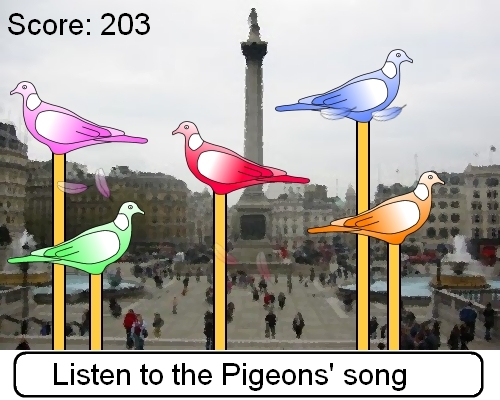 Pigeon on a Stick was developed by Wigs Games during 2011. The target was to create an entire game from start to finish within an 8 hour time limit. Play Pigeon on a Stick now. ""These pigeon aren't going anywhere, the aim is to repeat the pigeons song as it gets longer and faster. 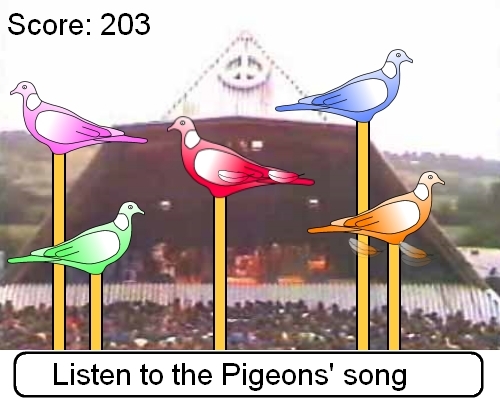 Use the mouse to poke the pigeons in the correct order to repeat their song." Please contact us if you wish to discuss licensing a customised or advert free version of Pigeon on a Stick for your website.